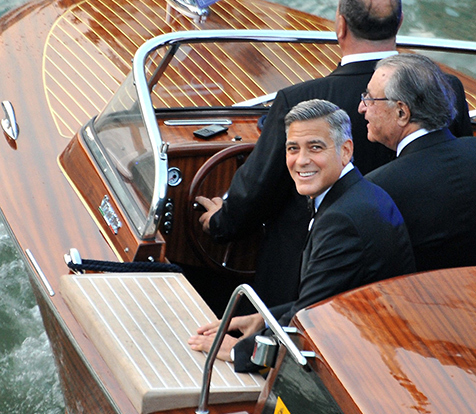 Take a group of notable and gorgeous people and put them together in one of the most magical cities in the world and there you have George Clooney’s wedding! As we all await to see the beautiful pics of Amal in her wedding gown as she married the ultimate (and most handsome) bachelor ever, we have gotten glimpses of some of their stylish guests. They were dressed to the nines and proved that wearing stunning colors and fabulous accessories never goes out of style. This is something we all can remember when we go to special events…that they are called “SPECIAL” events for a reason. This means indulging on a great blowout or wearing the metallic heels you have been hiding away in your closet. It means splurging on a fabulous new dress and rocking it with confidence! Laugh, live, rejoice and do it all in style!! Sometimes in fashion, you see something so beautiful and so inspiring that it literally takes your breath away! That is how we felt when we saw these looks from the runway of the Emilio Pucci Spring 2015 collection! With a nod to the 70’s, these pieces evoke a bohemian laid back feel with a luxurious twist. Tie dye, maxis, pastels all play their part in creating a collection so gorgeous you almost can’t believe your eyes! So take a peak for yourself at some of our faves below. Temps are slowly going down. So it’s time to get COZY! 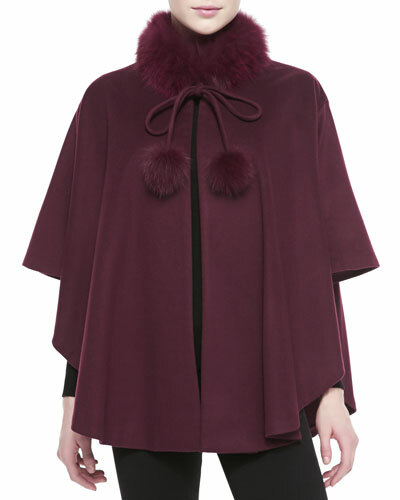 And this Fall there are great chunky knits, gorgeous capes and snuggly wraps to keep us warm and toasty. 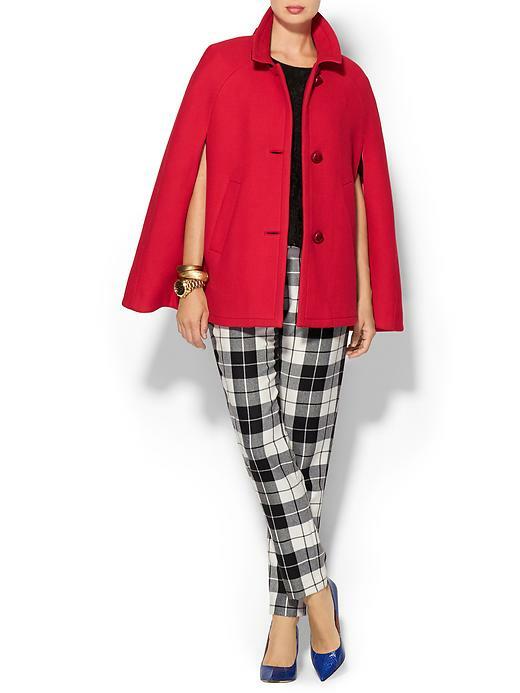 Capes, wraps, faux fur vests and ponchos are all great investments for Fall. 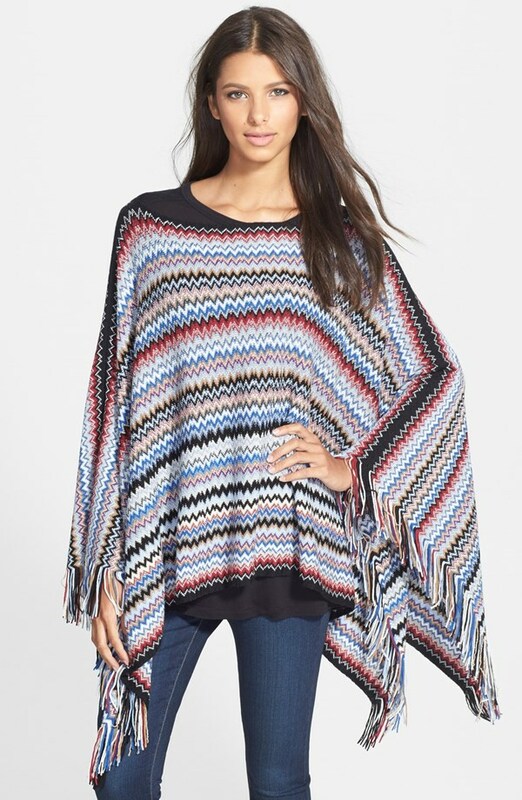 You can wear them over something simple like a long sleeve tee and jeans and feel fabulous! 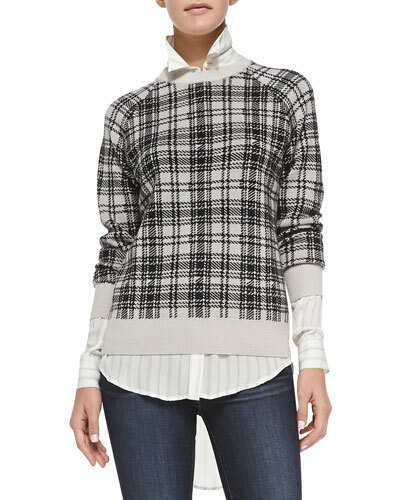 And chunky knits are great over a lightweight shirt because it’s all about layering this time of year. 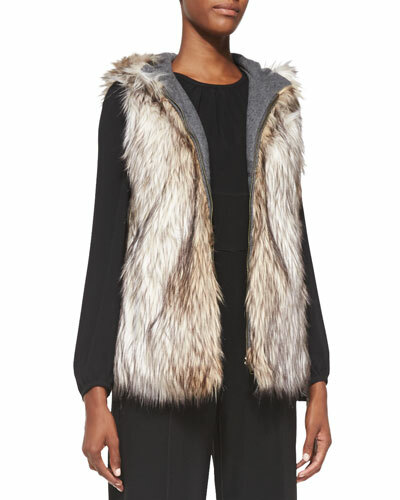 So here are a few of our faves to keep you cozy this Fall! 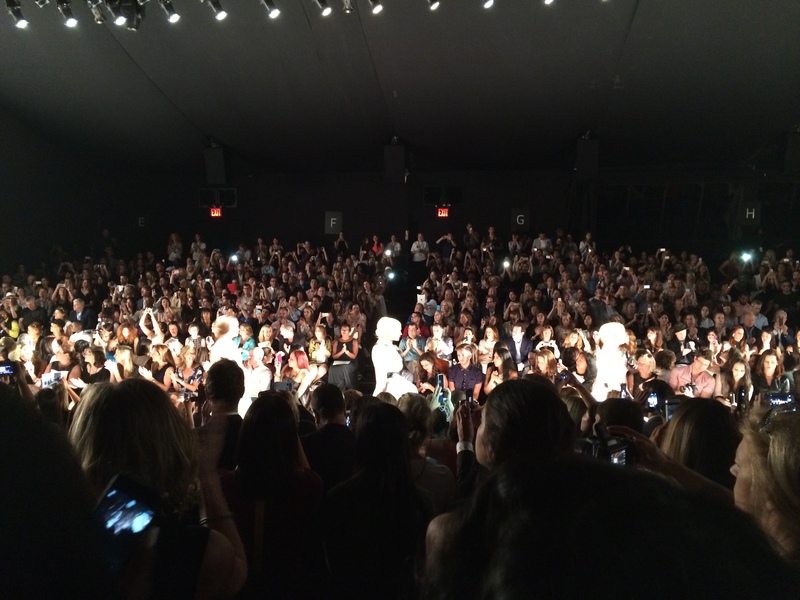 NYFW is in full force! 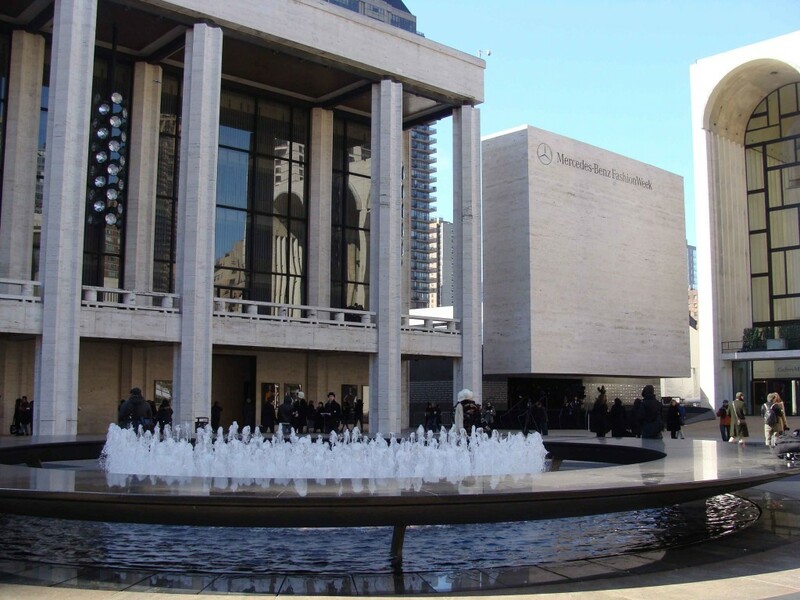 Lincoln Center was the HOTTEST spot this week as fashionistas everywhere came to check out the Spring 2015 collections of the HOTTEST designers! 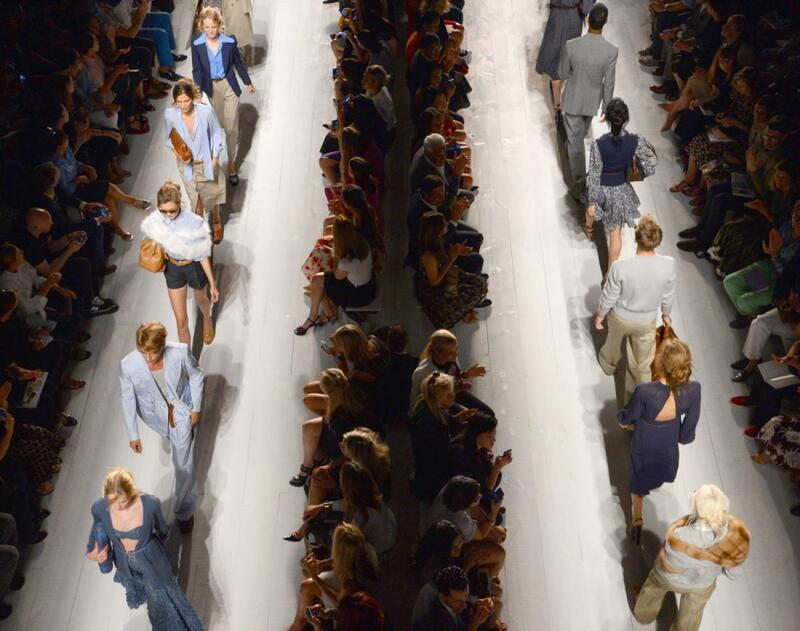 After what we’ve seen come down the runways, we simply couldn’t be more excited! 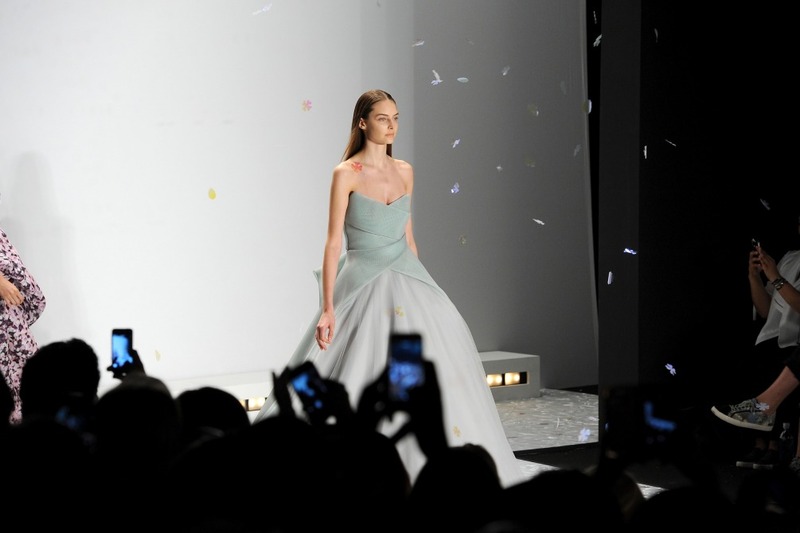 With feminine fluidity being a popular trend we predict a beautiful Spring 2015! On the August Getty runway! A fluid, feminine and floral Carmen Marc Valvo stunner! Love everything about this David Tlale creation! Wow! What a fantastic last week of August we have all had! The weather here on the East Coast has been spectacular! Sunshine, warmth and barely a sprinkle of rain. We have enjoyed seeing our friends happy faces on facebook with their kids in tow at various beaches from Southampton to LBI! So of course we are all sad to see it end. But there really won’t be much time to wallow in Back to School blues because yes, summer is coming to an end but next week starts, NY Fashion Week. And nothing is more fun that that! New York City, as amazing as it always is, becomes even more amazing as fashionistas, models, designers, magazine editors and celebrities come from far and wide to see new fashions make it’s way down the runways at Lincoln Center. And we enjoy every chic minute of it. Parities, shows, and fun events…it’s a stylist’s dream week! We are most excited to see the Carmen Marc Valvo show, party with the great team at Bella NYC Magazine and host our own fashion show at Neiman Marcus! AND on another bright note, all the shows will be featuring Spring 2015 fashions. So no time to fret over the end of summer, Spring is right around the corner! !